Perhaps you have just received a phone call, but you don't recognize the number. If you'd like to investigate further who just called you, there's a specific search technique you can use to look up where this number might have originated from called a reverse phone lookup. 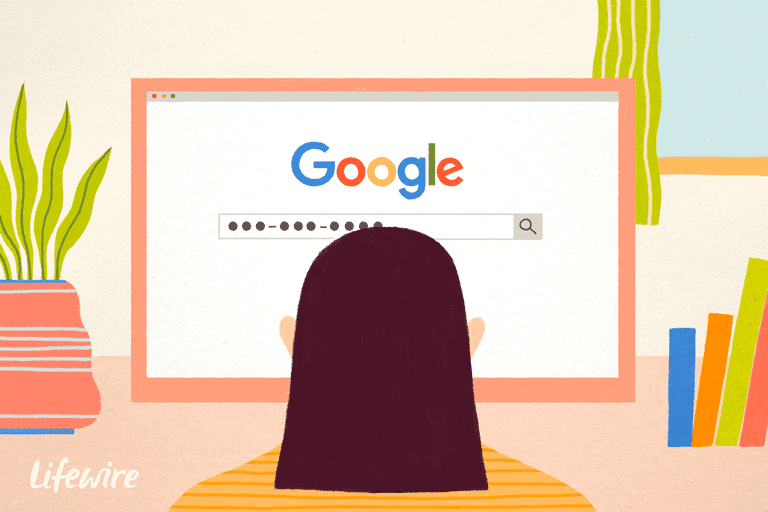 There are several ways to look up a phone number on the Web; in this article, we'll use Google to do a reverse phone lookup. The popular search engine tracks so much information on people that it's a gold mine for investigators. It used to be possible to use Google's phonebook search operator to do a reverse phone lookup. However, in November 2010, Google officially shut down the phonebook operator, due to the large numbers of people finding themselves in Google's index and sending in requests to be removed. Type the full phone number (including area code) into Google's search box; i.e., 555-555-1212. You'll see the number listed at dozens of different phone directories. Unfortunately, since Google changed the way they list phone numbers, this is what we have to work with. If the number is attached to a business, that business will usually show up in the first few search results. If you have the person's name, you can also use Google to do a free address and phone number search. Simply type the person's full name plus their zip code, for example, "john smith 97204" into Google's search bar to begin the search. This can potentially bring back a name, phone number, address, and a Google Map with directions to the residence; "potentially" because if the person you're looking for has not had their address made publicly available, it most likely will not show up in search associated with any other information. While Google doesn't have a public phone book listing anymore, it is still possible for you to remove your information (if it's listed) from its directory. Visit the Google Legal Removal Requests page to review Google's policies on information and if necessary to have your information removed. However, do keep in mind that this will not remove your personal information anywhere else it might be stored on the Web (see Ten Ways to Protect Your Web Privacy for more information on Web security). Do not pay to have this information removed! Why? Familiarize yourself with the reasoning behind this by reading Should I Pay to Find People Online? How Successful is Reverse Number Lookup using Google? While many people have great success using the reverse lookup methods outlined in this article to find a phone number, it should be noted that finding a phone number on Google using this method isn't foolproof. If the phone number is unlisted or originates from a cell phone, it most likely won't be found online. Do not pay for this information if prompted — the sites asking you to pay have access to the same information that you do. If you can't find it, the likelihood of these sites having different information is very slim.